1. Forget the "shotgun" job search method. Many people still use the "shotgun" method for conducting a job search. They read the Sunday job ads; they submit a standard resume to as many job boards as they can find; they call on a few friends. Then they submit their standard resume to either a handful of opportunities each week, or they submit to dozens of jobs with the same resume as long as the position sounds remotely interesting. "As job seekers become more fearful of the economy, they fall back on the shotgun method because it feels like they're out there working it," says Phil Rosenberg, former division director of Robert Half International who's now CEO and founder of reCareered, a career counseling and resume writing firm. The problem with the shotgun method is that it does not work, especially in a job market where employers have the pick of the litter. In fact, it does more harm than good. Recruiters are not likely to want to help you because you have given all potential hiring firms free access to your information, which negates the value they provide to their clients. Second, you commoditize yourself: By posting your resume everywhere, you become indistinguishable from a plethora of job seekers with similar skills. Consequently, hiring firms can immediately negotiate on price, driving your salary down or out. What's more, when you try to be all things to all prospective employers by sending a standard resume to everyone, you end up being nothing to no one. Your resume won't get noticed because it doesn't stand out. 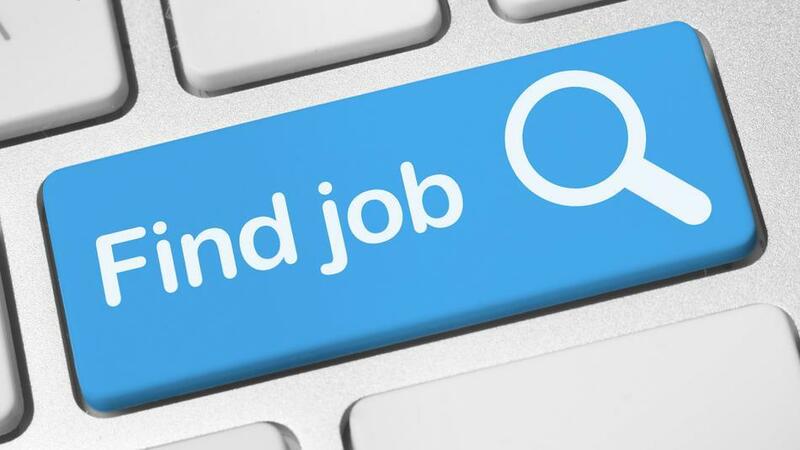 If you're tired of struggling to find a job and don't want an economic slowdown to hurt your chances of landing a new one, follow the best practices outlined in this story for conducting a job search when times are tight. What the shotgun method lacks—and what every job seeker needs—is a specific idea of the job they want and a plan on how to get it. 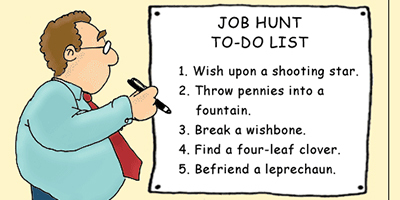 Yet few job seekers start with these ideas since both require thought and time. Pressed to quickly find a new source of income, most job seekers don't feel they can afford the time needed to create a big-picture strategy; they simply want to apply to as many positions as quickly as possible. They feel they need to act, not sit and think. That mentality is born of shortsighted fear. It's not the mentality of a long-term, solutions-oriented leader. Keep in mind that hiring managers want leaders with demonstrated success in finding creative solutions to difficult problems. Business plans, project plans, budgets and presentations all take time to research and develop. So does differentiating your job search. By taking the time to zero in on a specific career goal and to plan an effective job search, you demonstrate to hiring managers your clarity and ability to manage projects. It's a strategy that's worked well for me. One of my own recent interviewers commented, "So very few candidates truly understand what they really want that it is an eye-opening 'ah-hah, this guy is different' moment when someone can confidently communicate that to (us)." The amount of time this planning requires varies by person, but it can range from as little as a few minutes for job seekers who have already committed to specific industries and geographies to a few days for those who are less certain of their goals. Since I was originally looking to change industries, I spent more than two weeks researching the leading firms in the industry. Experts from the executive placement industry recommend selecting two or three industries along with the region(s) where you are willing to live, and then selecting the top ten firms you'll target based on your industry and location criteria. Focusing your attention on a shortlist of prospective employers (as opposed to following up on every job ad you see) will make your research more manageable and will make it easier for you to identify the key decision-makers inside those companies with whom you need to connect. It's important to be realistic about the industries and firms you're choosing. In my own job search, I initially attempted to change industries from financial services to defense. But after four months of disappointing results, I learned how difficult it is to overcome the new security clearance requirements enacted after 9/11—especially in today's economic climate. That lost time sapped my finances and a bit of my confidence. Luckily, I was able to recharge and rebuild my plan over the holidays. My new plan included evaluating the types of firms and business environments I enjoy working in beyond just top-ranked corporations. I also significantly reduced the time I spent searching for positions outside of my immediate region, since my relocation costs have repeatedly been cited by prospective employers as cause for dropping me from consideration over the past few months. The highest paid individuals in these specializations are those who have earned industry certifications and possess in-depth technical and managerial experience, according to reCareered's Rosenberg. So a useful tactic in finding a new job is to expand your subject matter expertise in those key technologies, which can include earning an industry-rated certification or master's degree. If you lack technical certifications or advanced degrees, you can still impress cost-conscious employers by presenting yourself as a lower cost, increasing-value team player. Demonstrating your commitment to your industry and specialization with ongoing, self-directed (read, self-paid) training towards key certifications impresses employers. 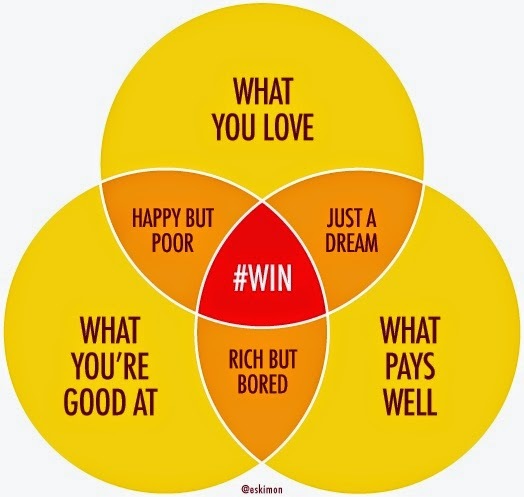 There are many more job opportunities than most people realize. In addition to the large national firms that the Dow Jones and Fortune magazine track, there are numerous other business environments to consider, such as startups, spin-offs and fast growing midsize companies. These organizations may be hiring more staff than traditional Fortune 500 companies. Also consider nonprofits and the public sector. In a down economy, some of the largest job growth comes from federal, state and local governments. David P. Winston, a principal with Heidrick and Struggles, advises executives not to discount startups. "Many candidates have shied away from venture-backed firms as too volatile, but they fail to consider the potential career benefits of such a firm," he says. "Venture-backed companies can serve as a stepping stone, an opportunity to learn (or expand) a key skill, or to explore a career interest," he says. What's more, the impression of startups' volatility is more stereotype, born of the dotcom-bust, than reality, according to leaders in that industry. In fact, venture capital insiders don't see the industry pulling back in this recession the way they did during the dotcom bust. Tim Tonella, CEO of MatchStar Venture Search, says that venture-funded firms in their second and third round of funding in particular are generally very good opportunities for executives with experience in business growth and risk management. After all, startups and venture-funded companies often require experienced leadership to take them to the next level. Each of these business environments—startups, midsize firms and the public sector—require a unique mindset and attitude. For example, smaller, entrepreneurial firms call for flexible individuals who can change their priorities on a dime and who operate effectively in environments without a lot of process. Some people thrive on the energy of a startup and the chance to wear multiple hats, while others are frustrated by what they perceive as an unfocused or chaotic environment. 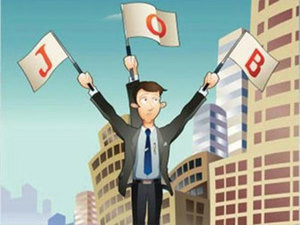 Job seekers need to decide which environment is right for them and then convince prospective employers in interviews that their personality and work habits are a good fit for the business environment and culture, says Winston. Being open to new environments requires self-examination. Consider what you've liked and disliked about the corporate cultures you've worked in. Also, ask yourself the standard interview questions: What is your ideal job? Describe your best (and worst) bosses. What do you look for in a new employer? Your answers to these questions will help you determine which environment is best for you. One of the biggest swings in the job market since the last downturn has been in employers' move to augment their staff with consultants and contractors, says Rosenberg. Companies have turned to consultants, who are often as experienced as full-time employees but generally cost less, to scale their staffing levels up or down as needed, in response to changing economic conditions. "Employers want the immediate deliverable that a consultant can bring, with the lower overall costs and risks of a full-time employee," says Rosenberg. Consequently, employers' openness to hiring consultants has changed their initial expectations of their new hires: Since consultants are brought onboard to have an immediate impact on a specific problem, and since employers see consultants and full-time employees as roughly equal, employers want full-time workers to have the same immediate impact on a company that a consultant has, says Rosenberg. To compete with consultants in this economy, job seekers need to convince prospective employers that they'll quickly get up to speed and deliver results. "You need to demonstrate throughout—on your resume, your application and in your communications with a targeted employer—that you have delivered results on the problem the employer is facing," says Phil Wallner, president of Provident Link, an IT and executive recruiting firm. When your communications with prospective employers address their problems and describe how you've solved similar problems in the past, hiring managers will say, 'I need to talk to this guy!' says Wallner. In a down market, the bottom line still requires sales "above the line" to keep the company alive and growing. Even if you're not in sales, you should highlight the work you've done that directly improved business development, pre- and post-sales support, upselling and cross-selling activities, vendor and partner negotiations as well as business process efficiencies that led to greater client/customer satisfaction, according to executive recruiters. Doing so will show your focus on revenue growth and will help you differentiate yourself as a business builder. Resume writing is tricky business. You have to provide just enough information to pique the recruiter's or hiring manager's interest in learning more about you. But if you offer too much, they can make a snap decision that lands your resume in the trash. To ensure that your resume works for (and not against) you, I recommend writing it more like a proposal than a job description. Focus on the immediate results you can offer as well as the long-term benefits you bring. Explain how your subject matter expertise can help your target firm address its specific challenges and opportunities and how your leadership and executive skills achieve bottom-line results. The key is to make your points relevant to the employer, not to your ego. In other words, it doesn't matter if you were top dog in your prior firm, you need to clearly show how your experience as the top dog will benefit your prospective employer. One way to present challenges you've addressed on your resume is using the STAR analysis process, which breaks your challenges into situations, tasks, actions and results. What was the initial situation you walked into? What task or responsibility did you take on? What actions did you undertake? What were the immediate and big-picture results? A shorter version calls for simply noting each major challenge and accomplishment, generally in a case study-like format. The point is to present the greatest information relevant to the prospective employer's needs in the briefest context. Also, use search engine optimization (SEO) techniques to make your resume keyword- and key-phrase rich. Select keywords from the job specification and from your research on the firm and the industry. You want your resume to repeatedly stress "company insider" terms and the right keywords for the type and level of position you're pursuing. Using keywords can differentiate you and your resume from all the others. Recareered's Rosenberg says your resume will get more hits from scanning software and more eye contact from humans (and you'll get more interviews) when your strongest keywords are in the top one-third of your resume. After putting all that time and effort into your resume, it would be a shame for a recruiter or hiring manage to reject it on the basis of a spelling or grammatical error—or to have it get trapped in a spam filter. If you aren't using a professional resume writer, then at least have one other person review your resume. If you are in a crunch and must send your resume without another reviewer, here's a trick I learned from a Discovery Channel article on brain functionality: reading text backwards forces your brain to re-review each word individually. Use Lyris Content Checker to pre-scan your resume and cover letter to ensure that innocuous words don't get blocked as spam. With so many job seekers available, recruiters are being told to keep looking until they find an exact match. Candidates who are landing positions in today's economy are—by strategy or by luck—perceived to be "ideal" candidates. Such ideal candidates are confident and they're genuinely passionate about the job, company and industry. Hiring managers consider confidence and passion top qualities. To make sure you're playing your A-game on interview day, spend time beforehand scripting and rehearsing your answers to interview questions about your strengths and weaknesses, says Chris McCann of Gregory Laka and Company executive search. McCann also recommends being prepared to explain how you developed staff beyond providing company paid training. For example, did you serve as a mentor? "Noting how some of those individuals have succeeded demonstrates your personal connection and commitment to your team," he says. In addition to being open to relocating, you may have to bend over backwards to get a job or impress an employer. An executive recruiter I interviewed for this story told me about a candidate who moved from third or fourth choice to top selection when he offered to work as a consultant to start, at half the rate for six months in a contract-for-hire option. By lowering his rate and starting out on contract, this candidate showed his willingness to mitigate the risk his prospective employer would be taking on by hiring him full-time. Notably, the candidate didn't go to this length because he was desperate for any job. He made some upfront sacrifices because he really wanted this particular job with this particular employer, the recruiter told me. Another candidate offered to fly cross-country on his own funds to meet with a CEO who was on vacation at the time. By being extremely flexible for the CEO, the candidate met him in a much more informal and relaxed environment. This expensive and risky strategy worked for the candidate—who, again, was not desperate for any job. He got what he felt was the perfect job for him. Don't stop your search until at least 30 days after your first day on your new job. I know colleagues who've had job offers rescinded or who've been laid off—not for performance reasons but for the company's financial reasons—within their first 90 days who then have had to start their job searches all over again. (I've experienced this, too.) Consequently, some job search experts recommend that new hires keep interviewing for other jobs during their first 90 days at their new employer since that's a standard trial period for new hires during which employers can let them go for any reason. If you focus your efforts on companies in growth industries where your skills are suited, and if you emphasize your ability to have an immediate impact on prospective employers' bottom lines, you'll be poised for success no matter how bad the economy. As Gregory Laka and Company's McCann notes, "There are not a lot of people who can leave their thumbprint on a business. Those individuals are the top 10 percent of the talent pool. They are the people that businesses will always look to hire no matter what the market or economy." If you are looking to build your next (or first) mobile app and need help with one or more of these steps, you’re in luck! The moPharma Group welcomes app owners at any stage in this process. Whether you are a startup or Fortune 50 company, we have the team and knowledge needed to deliver a fantastic mobile app. Please don’t hesitate to write us today.